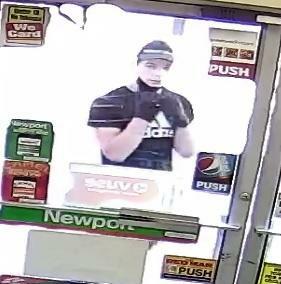 Shawn Gallagher, 21, in a store surveillance image taken during the armed robbery he perpetrated in July 2018. 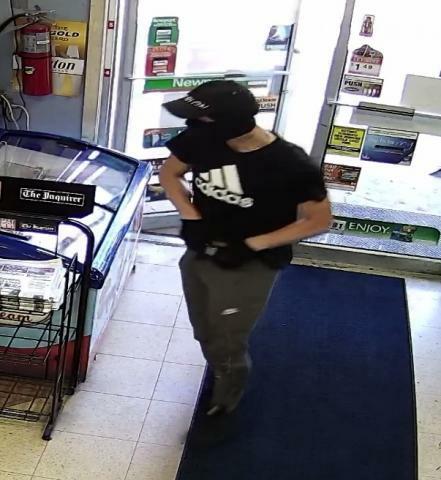 The Perkasie Borough Police Department is asking for the public’s help in identifying a masked man they say committed an armed robbery Sunday afternoon at the Gulf gas station at N. Main and Noble streets (396 N. Main Street) in Sellersville borough. 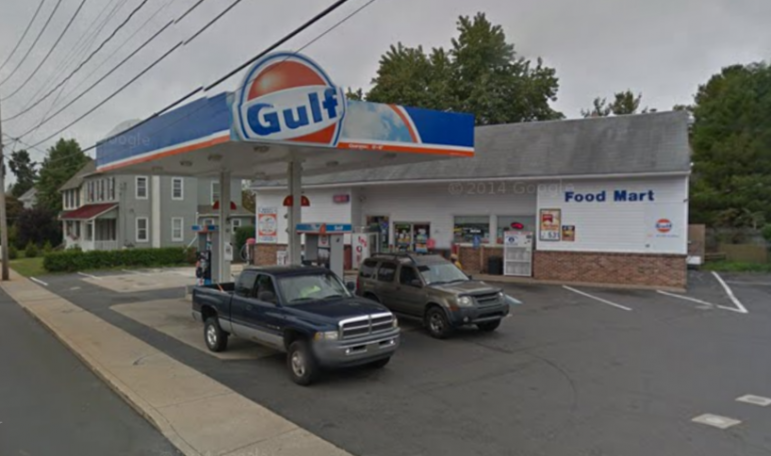 Perkasie police are investigating an armed robbery that took place at this Gulf gas station at 396 N. Main Street in Sellersville borough on the afternoon of Sunday, July 15, 2018. In a post to the department’s Crimewatch page, police said the man entered the store at 4: 11 p.m. and demanded cash and cigarettes. The man displayed a black handgun, police said. He is described as a thin white male, 20 to 25 years old and approximately 5 feet 4 inches tall. Police said he was wearing a black Adidas T-shirt, gray sweatpants, a black baseball hat and a scarf over his face. Surveillance photos (see below) released by Perkasie police show the man both masked and unmasked, and from the front and in profile. 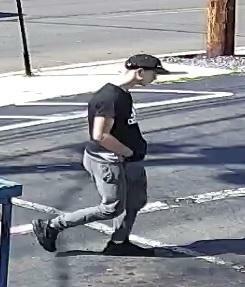 Anyone with information about the suspect is asked to contact Perkasie police at 215-257-6876.